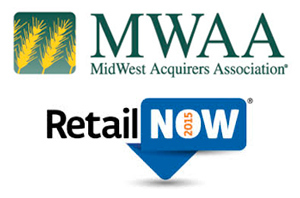 General Credit Forms is excited to be participating in two great trade shows supporting the merchant retail industry this summer, Midwest Acquirers Association and RSPA RetailNOW. The Midwest Acquirers Association Annual Conference will be held at The Palmer House Hilton in Chicago, July 14-16, 2015. The MWAA is the premier summer event for professionals in the merchant acquiring industry. Hear industry leaders discuss topics including new PCI regulations and best practices, and visit the Exhibit Hall to meet top processors and industry vendors, including GCF. For more details and registration information, please visit the MWAA website, www.midwestacquirers.com. RSPA RetailNOW 2015 will be held at the Gaylord Palms Resort and Convention Center in Orlando, August 2-5, 2015. RetailNOW is the place to be for players in the retail technology and point of sale industries. The leading hardware and software vendors will be displaying their latest products. For more details and registration information, please visit the RetailNow website, www.gorspa.org.